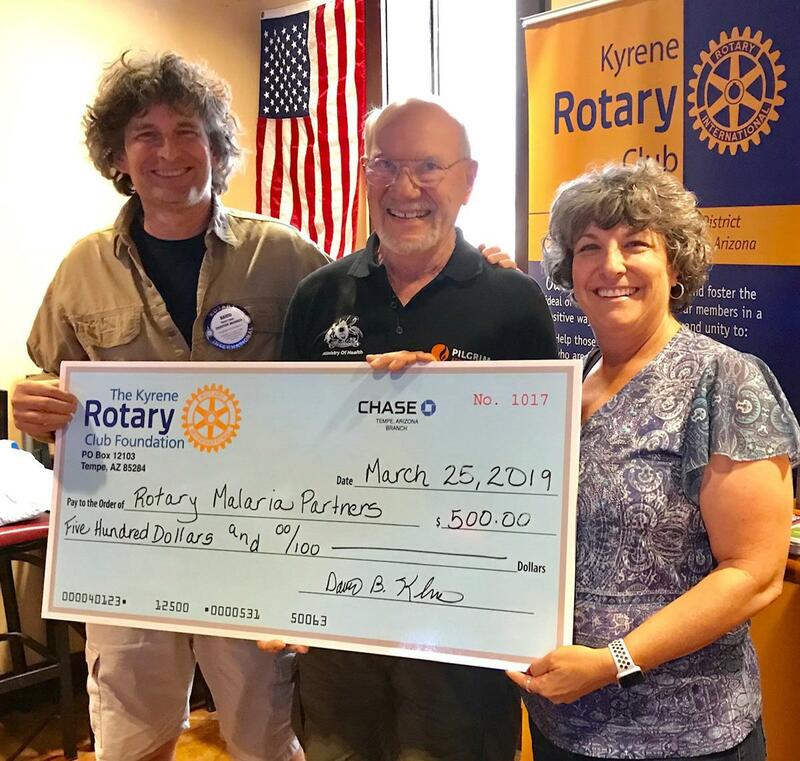 March 25, 2019 - The Kyrene RC presented a $500 check to the Rotarian Malaria Partners represented by honorary club member Harry. Foundation president, Dave, and club president, Kelly made the presentation. This is the club's second donation to this cause. Harry gave a brief overview of the malaria problem and was optimistic that Rotary can help solve it, just like we are doing for Polio.